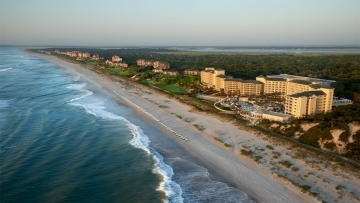 Amelia Island is treasured for its long stretches of quiet beaches. With 13 miles of beautiful beaches, abundant native wildlife, and pristine waters, there are many choices for waterfront condos for sale on Amelia Island with prices ranging from the low $200,000's up to more than $2 million. Wake to the sound of the ocean waves & enjoy the sunrise over the ocean from your balcony overlooking the Atlantic Ocean.